Just over a year and a half since we attended the 1st International Hemp Building Symposium in Ireland, we arrived in the fascinating city of Granada, Southern Spain, for the 2nd Symposium. Granada is a beautiful mix of Moorish/Arabian and European culture going back to pre-13th century, and is presided over by the magnificent Alhambra, originally built by the Moors, but afterwards occupied by the Catholic Monarchs who altered the style and built European style palaces within the walls. Having a hemp and natural building symposium here made sense, as we were surrounded by bio-climatically designed buildings many centuries old that remained intact and serving their ultimate purpose of protecting against the outside climate brilliantly- with very little concrete in sight! After a day spent exploring the winding alleys of the citadel, and an afternoon on a tour of the striking Alhambra and superb Nasrid palace, we made our way to the hotel where the symposium was being held. It was great to catch up with people we had met In Ireland, as well as meet some new people pioneering hemp construction from all over the world. There were delegates from Canada, USA, Australia, Mexico, UK, France, Spain and of course Charlie and myself representing RSA. On the first morning Steve Allin, convener of the symposium and hemp building pioneer, opened the event with an impassioned look at the current global situation and reminding us all why solutions such as hemp building are so necessary and the potential we have to bring about real reductions in one of the biggest impacts on energy use and resource depletion: the construction industry. That afternoon we took a bus ride to Gaudix, to the Cannabric factory to see the awesome work of Monika, originally from Germany, who has developed bricks made from Clay, Lime and Hemp, and to see her work in restoring cave houses using hempcrete. There is a large population in the area living in caves that have been hewn from the hills as this is by far the most efficient place to live in as the temperatures can reach 45 in the summer. Cannabrics are air dried and formed using human powered presses, so the energy used in their manufacture is minimal, and as they benefit from both the thermal inertia of the clay and the insulation properties of the hemp, the energy saved over the life cycle of a Cannabric house is remarkable. On top of this they are totally recyclable. This is definitely something we are going to research further as an option for South Africa. Monika Brummer also showed us her latest products, precast panels made of compressed clay and hemp that can be assembled on a much larger scale and faster speed than hempcrete and cannabric, and the applications for this are obvious for the industrial building sector. There was plenty of opportunity to network that night at the symposium dinner, sharing experiences and advice, and it always inspires me to be part of an industry that seeks to support each other and with the underlying motives of nearly everyone involved being that of bringing about positive change both to customers and the world at large. Day 2 was a blend between technical presentations and feedback from different projects around the world. I started my presentation with a short documentary made by Intombi Productions on the building of South Africa’s first hemp home, which Hemporium has under-taken with the help of Perfect Places, since the last symposium. Everyone was impressed with the amount we have achieved since the last symposium and with the design of the modular system and the final product. I gave feedback on the momentum that is building regarding a commercial hemp industry in South Africa and the progress made with the Commercial Trials underway. I went on to explain how the real change will come when we are building hemp houses for those still waiting to get a house, and not only with building eco-houses for those who can afford to “go-green”. The reality is that if we need to build 5 million new houses in SA, building them with energy efficiency in mind is paramount to avoiding the environmental and energy disaster that awaits us if we build them all out of cement and without insulation. 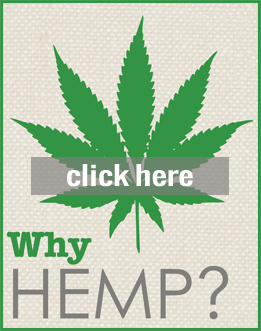 We know hemp can make a huge impact in this area. The feedback I received was encouraging and supportive, and as I had asked for advice on how to position Hemporium in the burgeoning hemp industry in SA, I was given some good insights into how we can go about creating the system necessary to help the industry flourish. The afternoon session saw a presentation by Ian Pritchard of Lime Technology in the UK of some of the awesome buildings they have completed and are busy with, including massive warehouses and distribution centres, The Centre or Alternative Technologies and the Marks and Spencer flagship eco-store they are currently busy with. Hemp has really hit mainstream acceptance in the UK and it is really inspiring to see these massive buildings using hemp and taking advantage of the energy efficiency of this amazing construction material. Noel Andre from Technichanvre also gave a presentation on his business which is the first hemp processing facility aimed directly at construction, and gave examples of some of the products he has developed and the machinery necessary to produce them. There were other presentations on hemp spraying techniques which increase the compactive strength and drying time/construction speed of building with hemp, as well as a mobile decortication plant that is in development which would be very beneficial for small scale farmers as it allows them to separate the fibre from the stalk at farm level so they can develop revenue streams from both markets. All in all, the event was a resounding success and we left even more inspired to make hemp building in Africa a viable option. We are at the stage of moving from advocacy to delivery and implementation, which is a massive challenge, but seeing the real projects and success happening around the world served to encourage us to step up to the challenge. After the symposium ended and all the contact details shared and goodbyes said, I had the opportunity to travel with a film crew from the US, who are shooting a documentary on hemp, to a national park near the coast where we stayed in a hemp house made with Cannabrics and completely off the grid. We interviewed the owners/builders, who shared with us the positive response they have from living in a hemp house, their radiant health, and the fact that while the outside temperature ranges from 10-45 degrees, the house rarely leaves 20-21 degrees, a perfectly comfortable temperature. 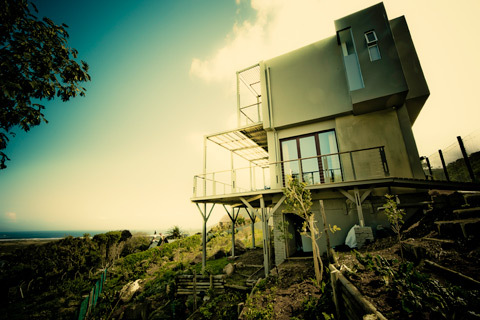 It was great to sleep surrounded by hemp, and the thought of living in the hemp house in Cape Town really excited me. First though, I went off to China to investigate all aspects of the hemp industry, evaluate machinery and the Chinese cultivars which are suited to our climate and give superior fibre and biomass yields.